This is my last post of the year so before I get into it, I want to thank you all for reading my blog this year - thank you for taking the time to comment and thank you for the support. I love that I have developed some great friendships as a result of this blog. I know that some people say that blogs are dying and that Instagram is the way to go but my blog will always be my first love! 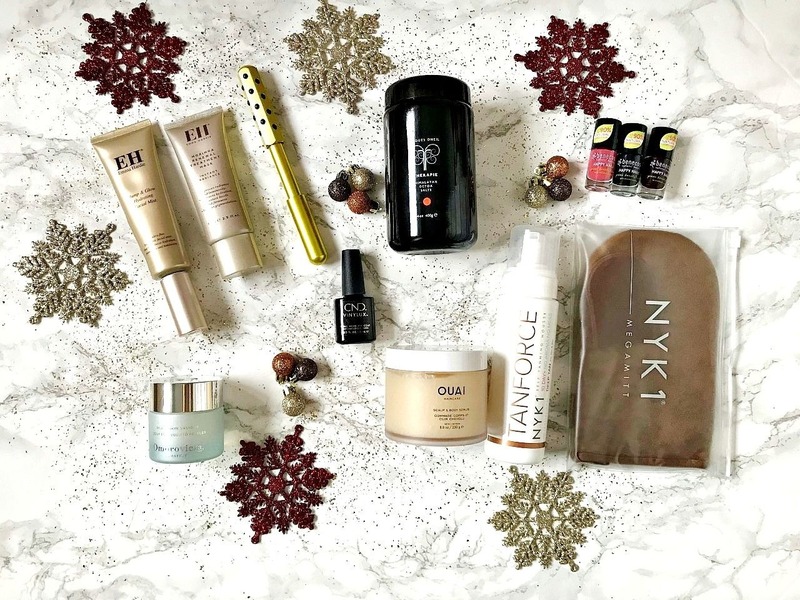 Today, I am talking you through my pre-Christmas pamper routine. 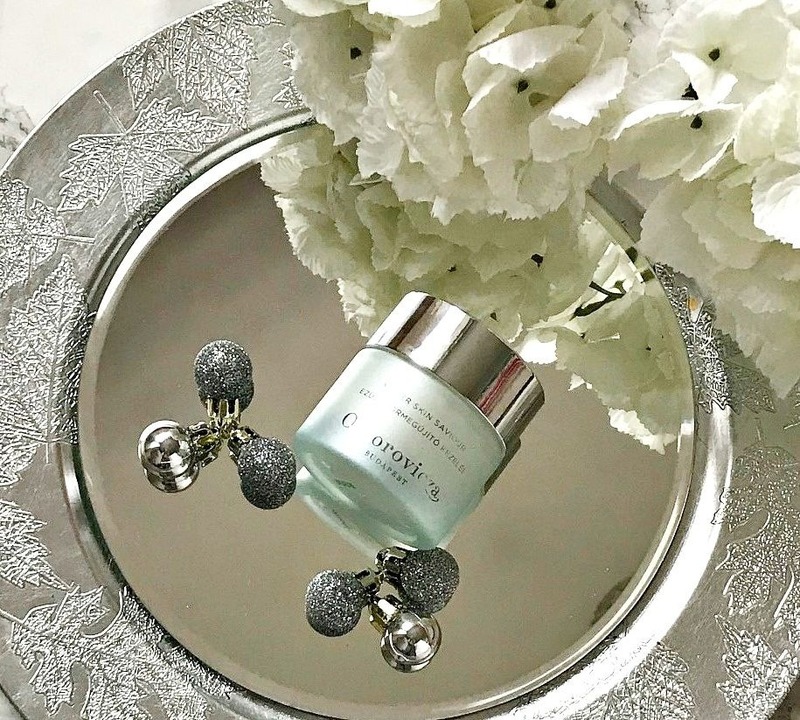 I like to buff myself from head to toe and just prep my skin so that it's looking as clear and glowing as possible! 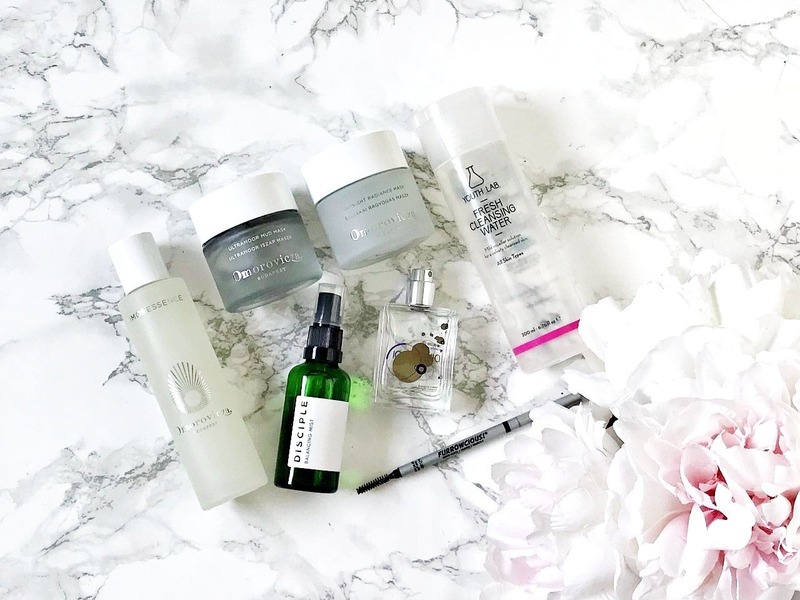 In the final of my 2018 favourites posts, I am talking about products that I discovered this year that have really stood out to me, so much so that I will repurchase or possibly already have! 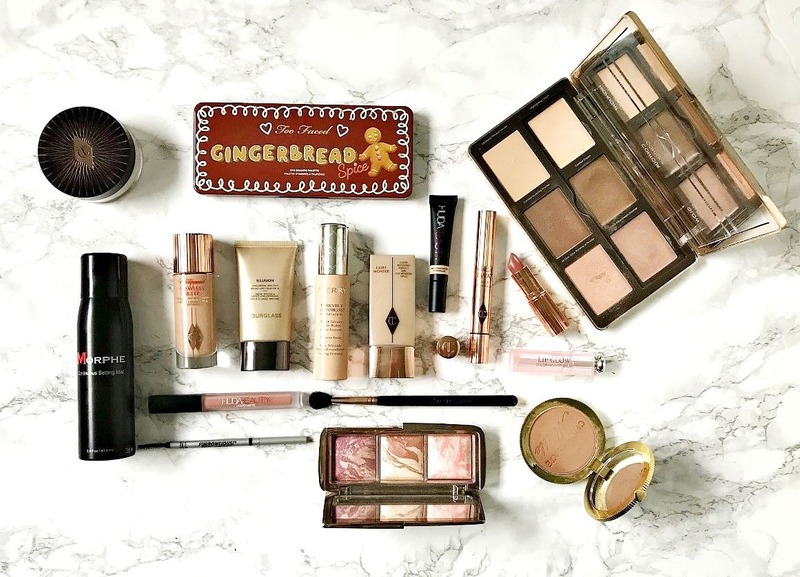 Today's favourites post is all about makeup and I don't have a huge number of products but they are all ones that I have used regularly throughout the year - my fail-safe, go-to products or ones that have really stood out to me throughout the year. I know it's a clichéd thing to say, but where on earth has this year gone?! 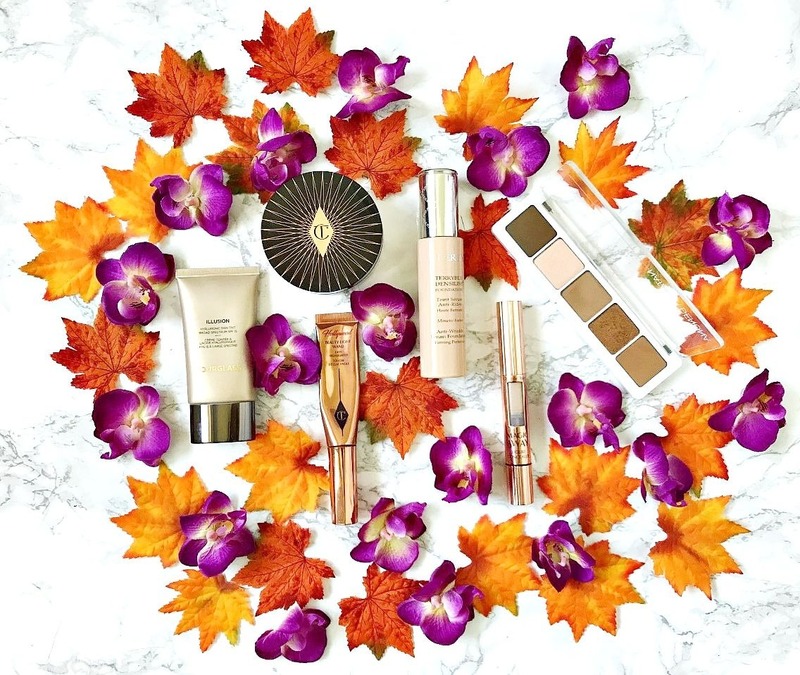 It honestly feels like it was only 6 months ago that I was posting about my 2017 favourites! 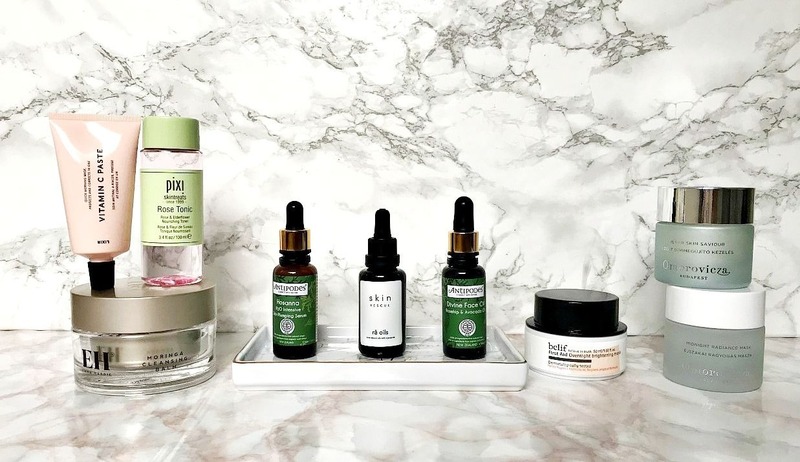 Regular readers will know that skincare is my thing and I am lucky that I get to try a lot of products. 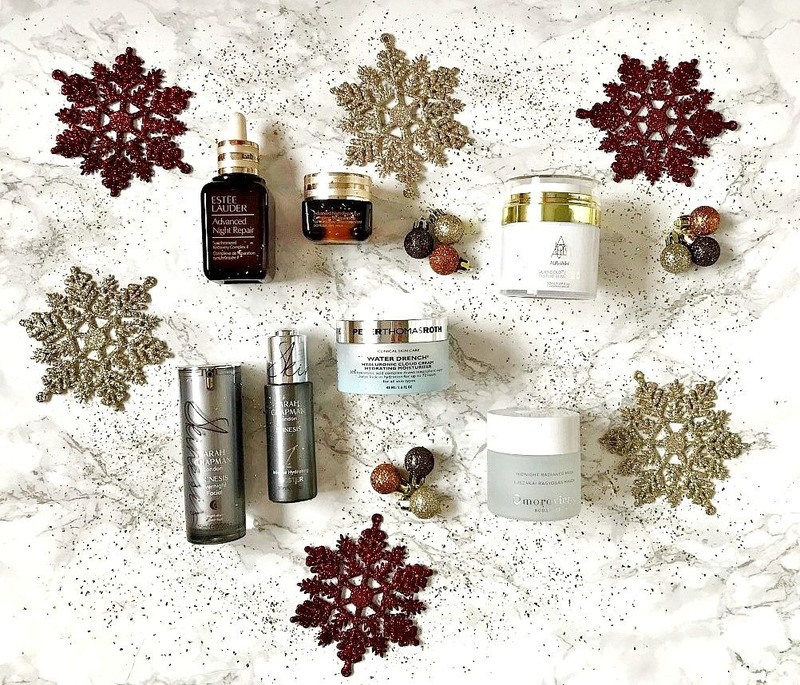 I will be posting about my favourite discoveries of the year later this week but today I am focusing on products that I have used consistently this year (or for a number of years in some cases). 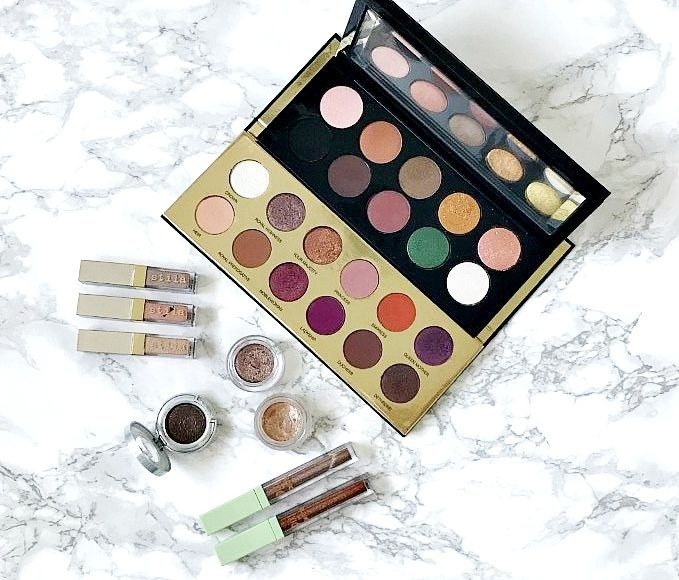 For the month of December, Morphe is Cult Beauty's Brand Of The Month, which means that there is free international shipping on all Morphe products. I think this is really brilliant because Morphe products are priced so affordably that you would normally need to buy a lot of products to reach the free shipping threshold. 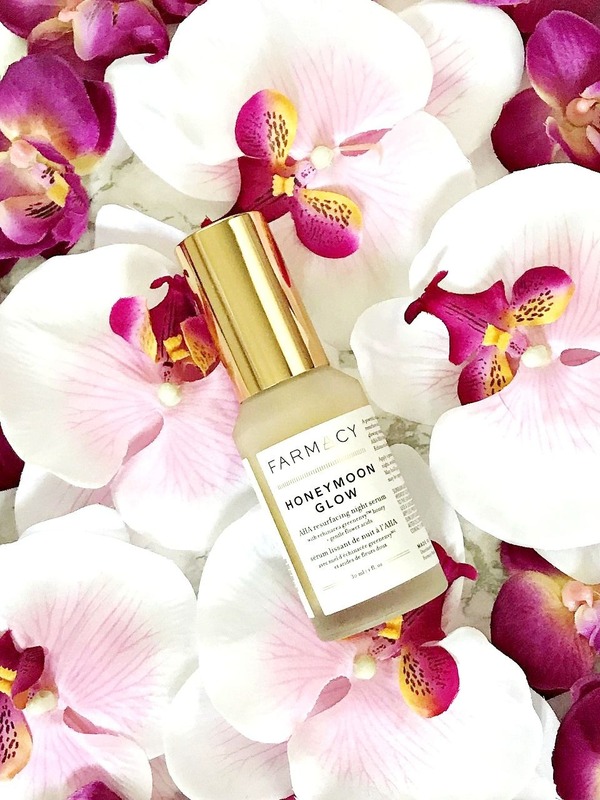 It's a brand that I only became acquainted with a few months ago but I have been very impressed and their Continuous Setting Mist has in my daily rotation ever since as I much prefer it to some of my more expensive setting sprays. 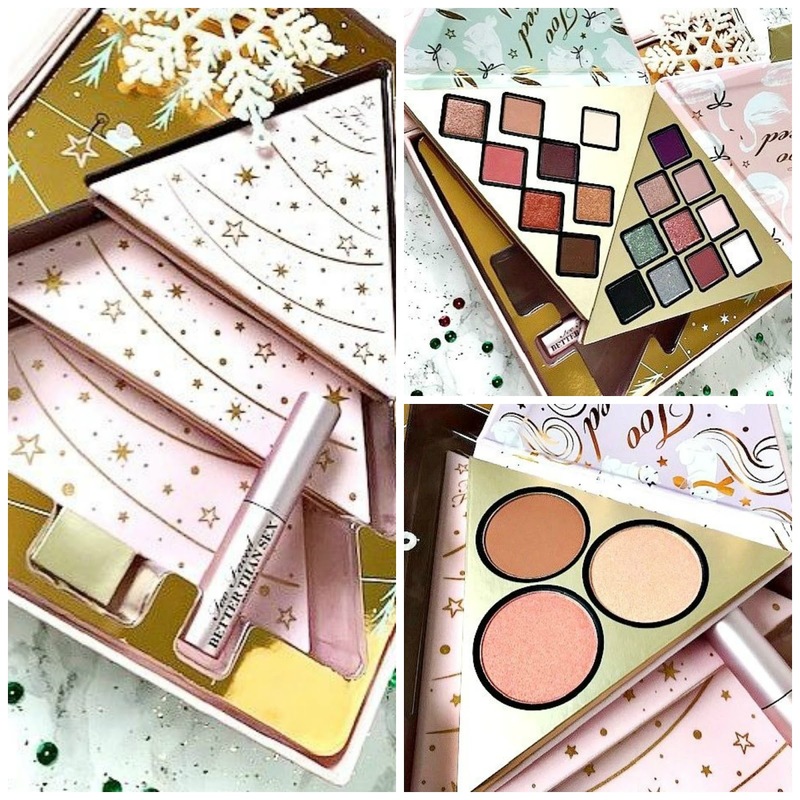 They recently released their holiday collection, which I want to share with you today! Edited to add: I have an incredible offer to share with you! 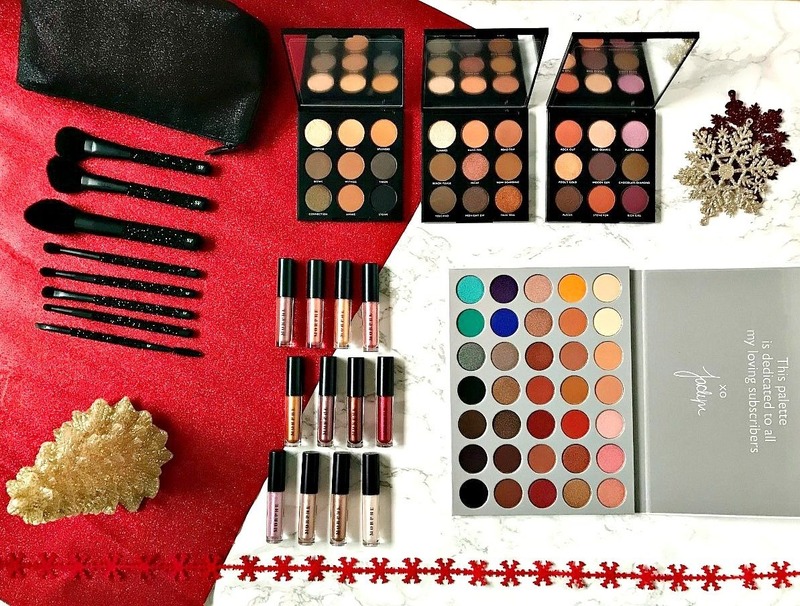 If you spend £40+ on Morphe and use the code CBXMORPHEXMAS at checkout, you will receive a gift worth £129, which includes a Cult Beauty Tote Bag, Morphe Bling Fling Brush Set, All Eye Want Brush Set, 9A, 9B and 9C palette. There are only 20 of these sets available so go, go, go!!!! 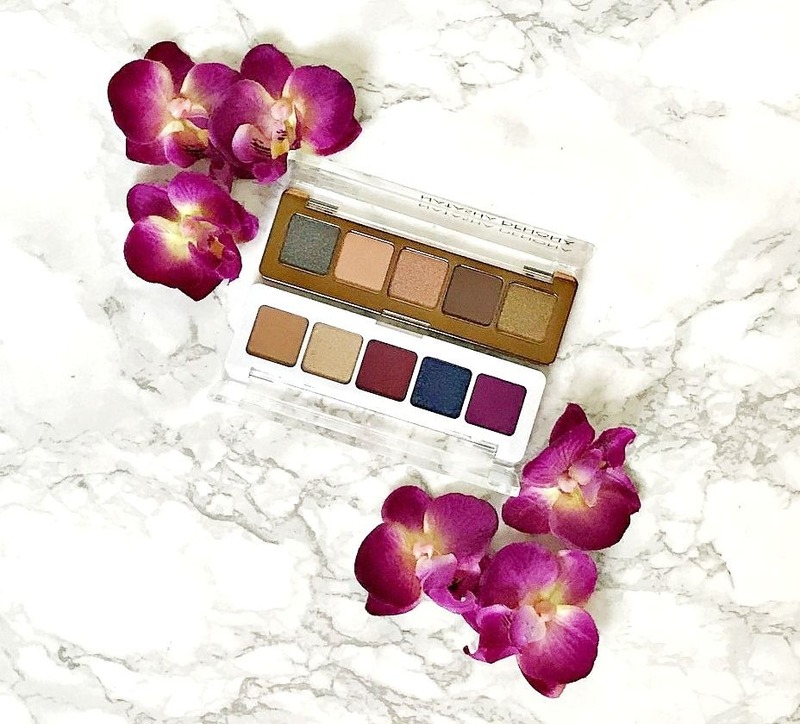 The Kevyn Aucoin NudePop Pro Eyeshadow Palette was quite an unusual purchase for me because I don't tend to wear cool toned eyeshadows but there was something about this palette that made me want it as soon as I saw it! 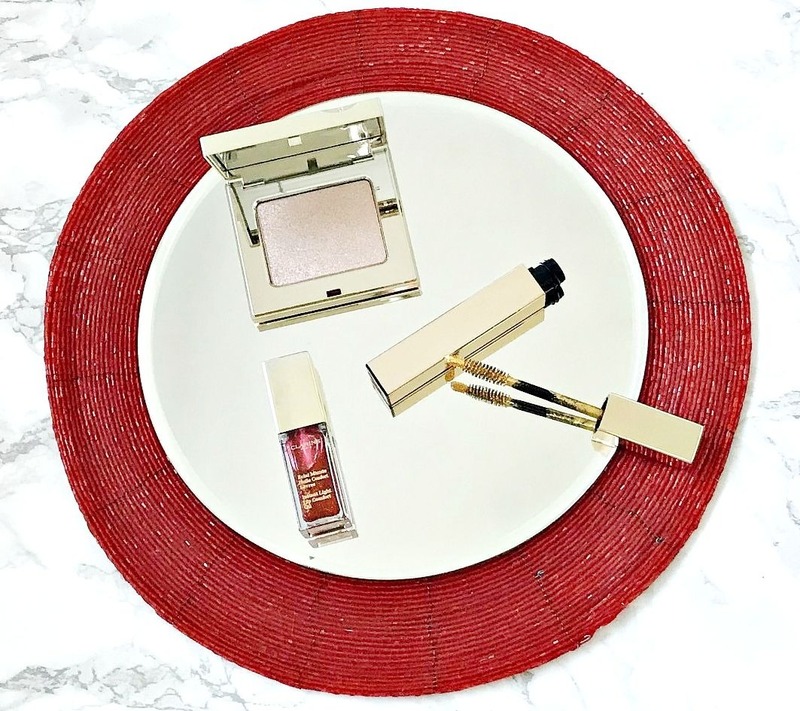 I hadn't tried any Kevyn Aucoin eyeshadows before this but I knew that the texture of the powder highlighter is beautiful so I assumed that the eyeshadows were a safe bet. I've had a few weeks to play with the palette and want to let you know my thoughts today. If I told you that this was even half of my highlighter collection, I would be lying but these are my favourites! 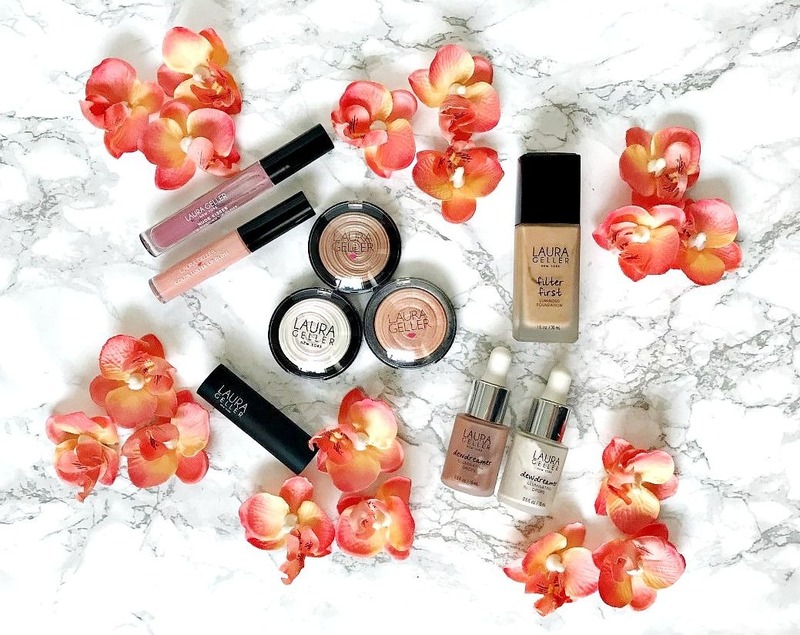 Highlighters are my thing - I love how they can instantly make my skin look alive and they banish signs of fatigue and dull skin. I personally don't like anything glittery or to look like a unicorn or mermaid (I am sooooo not into that trend!). I like a smooth formula that can be sheered out or built up and the texture has to be smooth and soft. 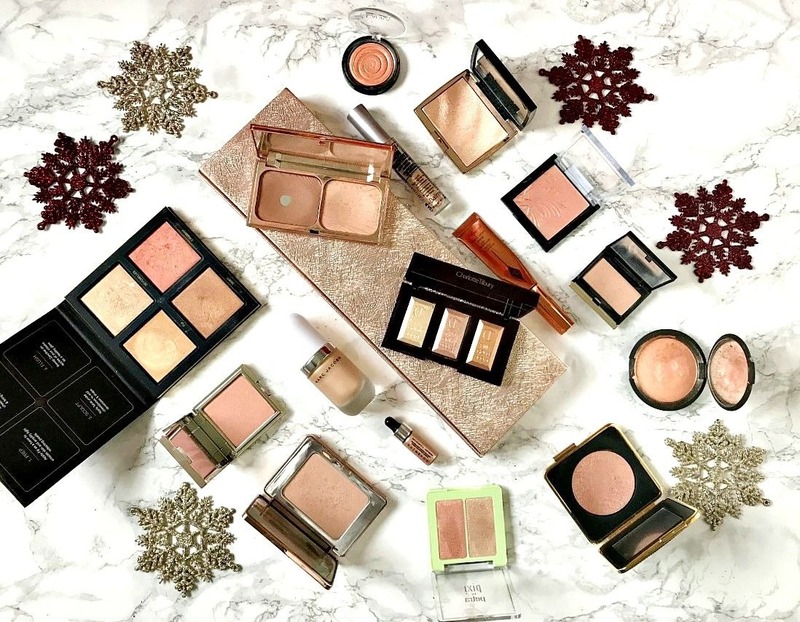 I have 16 highlighters to share with you today that tick those boxes and they vary hugely in price, which proves that you don't need to spend a fortune on makeup for it to perform well. Nars Velvet Matte Lip Pencils - the comfortable, long-lasting lip option. 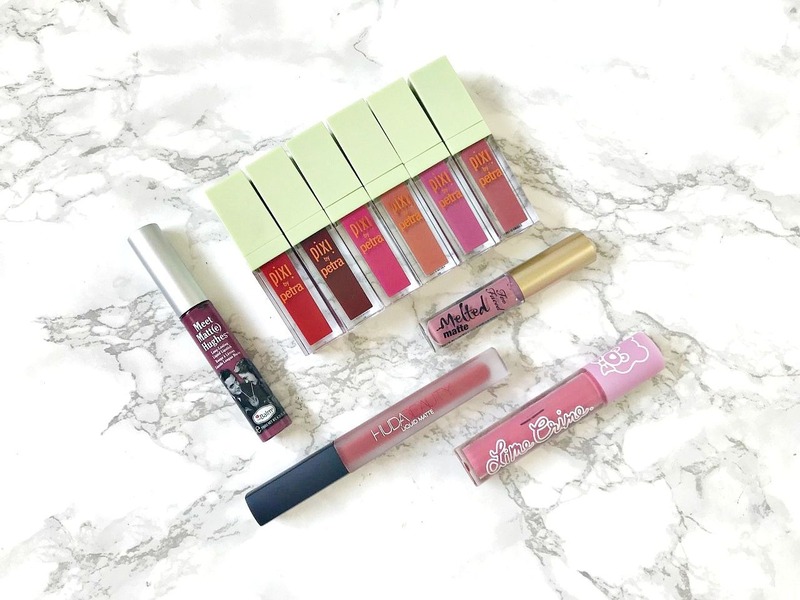 Although I am a gloss girl at heart, I definitely gravitate towards matte lip options in Autumn and Winter. 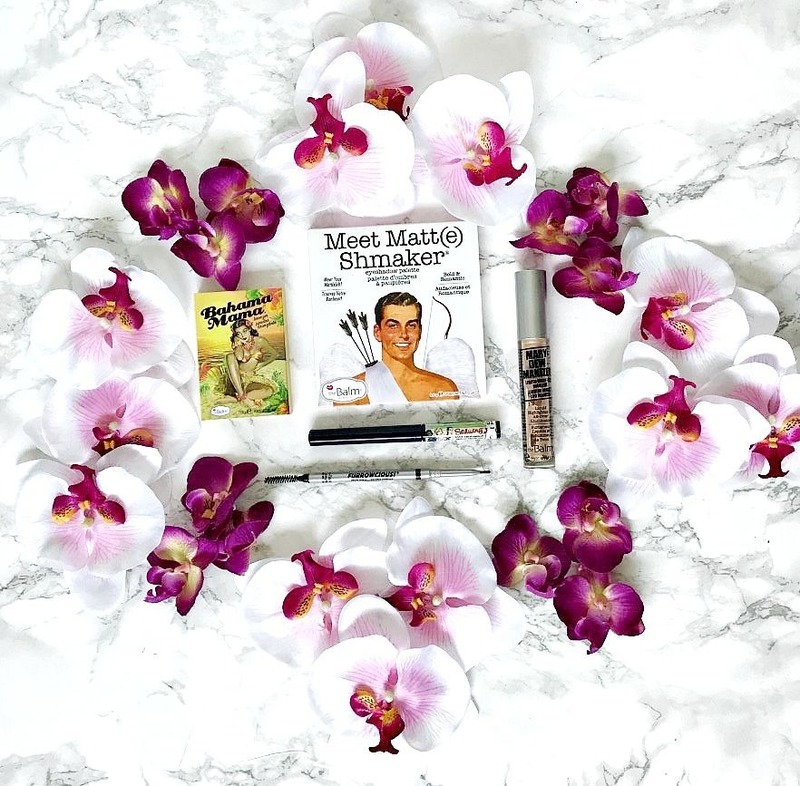 Matte lips don't have to mean dry, flat, lined lips - things have come a long way since the days of uncomfortable, drying lip products. 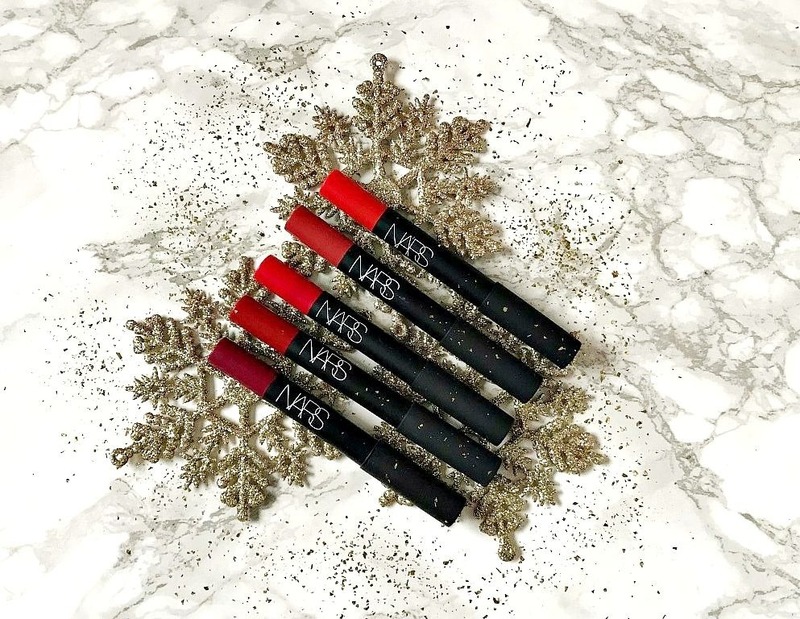 Nars Velvet Matte Lip Pencils are a great option for those who are scared of full-on matte lips as they have a velvet matte finish, which is more flattering and comfortable. 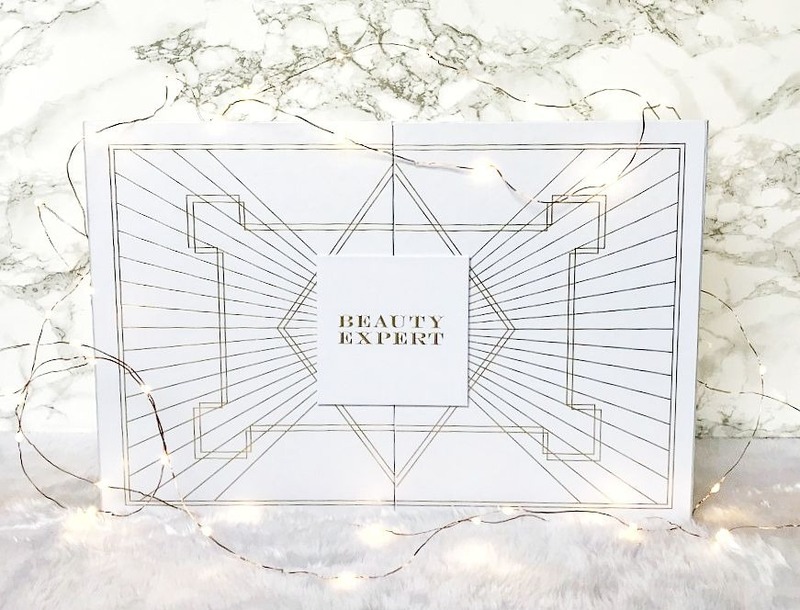 I browse the Cult Beauty 'new in' section on a daily basis and over the past 4-6 weeks, there have been some really incredible festive launches that have set my pulse racing! 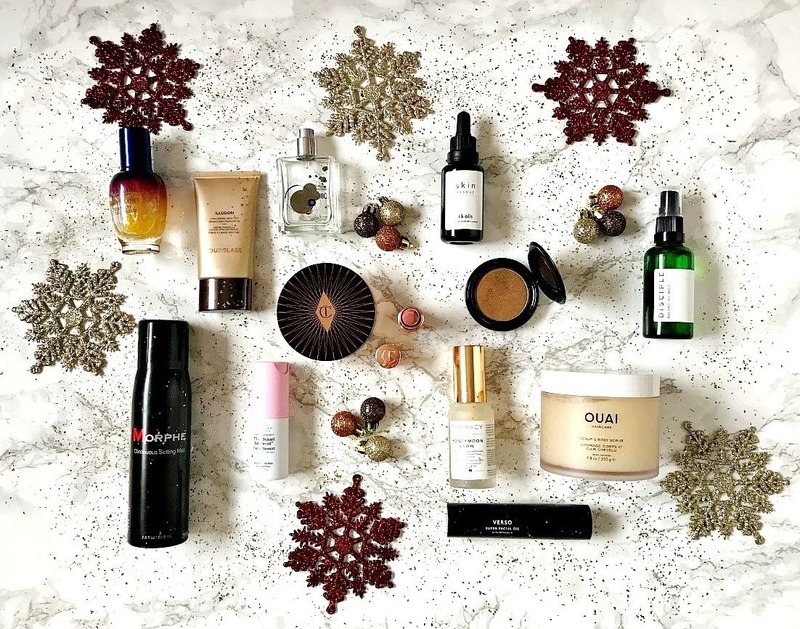 I featured some of the gift sets in my recent gift guides but today I want to dedicate a whole post to some of my favourite festive picks from Cult Beauty! Most products I bought myself however those marked with * were kindly sent to me. If you missed the first post in my 'the hype is real' series, you can find it here. 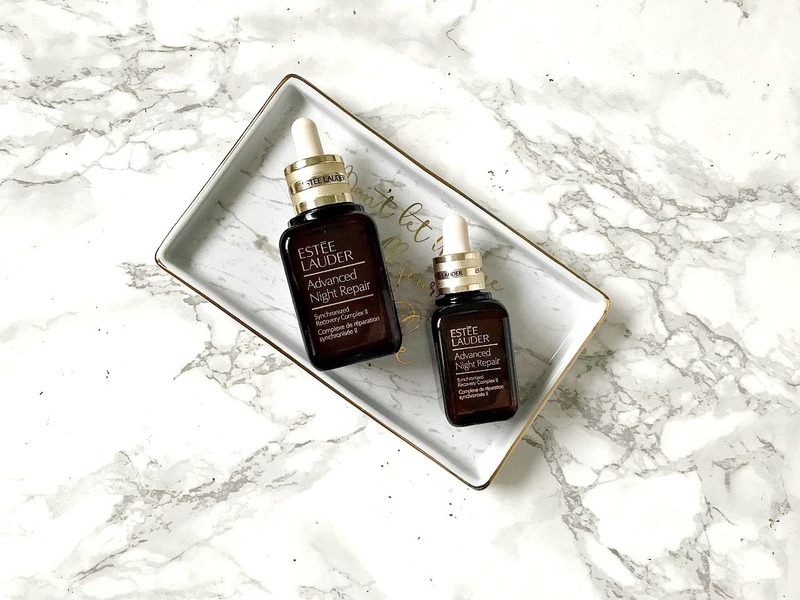 For the second installment, I am talking about Estée Lauder Advanced Night Repair Synchronized Recovery Complex II, which is a product that has been a staple in my routine for around 10 years. 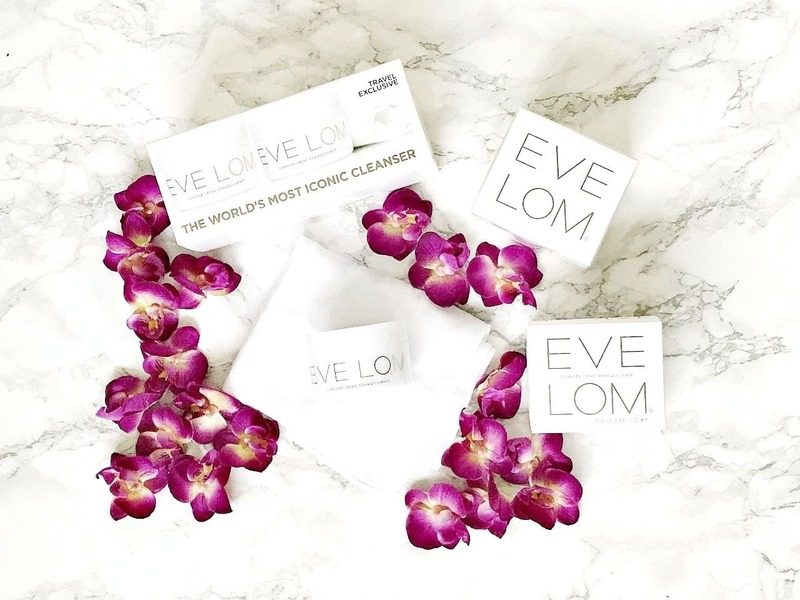 It doesn't matter how many other products I try (and I try A LOT! ), this will always be repurchased! 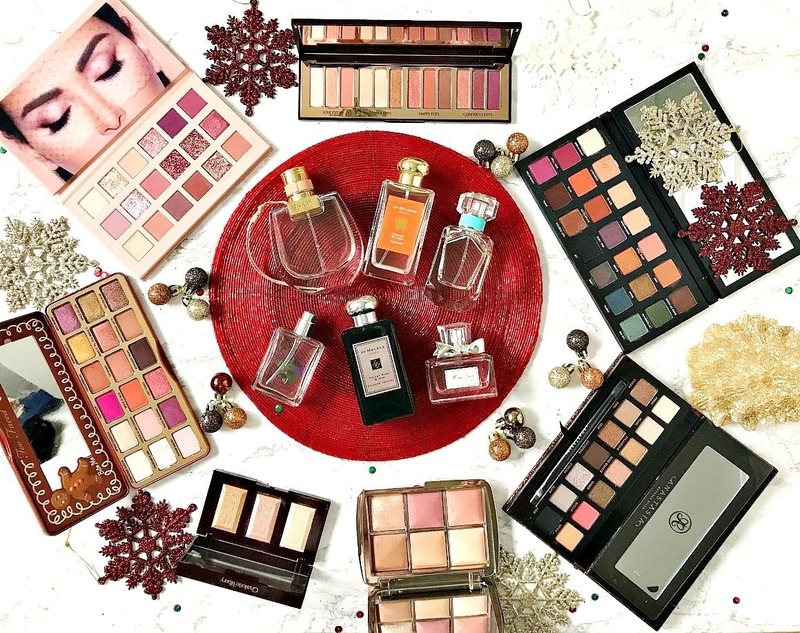 Welcome to the final day of my gift guides and today it's for those who are not beauty fanatics. I have a good selection of gifts that should hopefully provide some inspiration! As always, I want to mention that I bought most of these products myself and those that were kindly sent to me are marked with a * but I only feature products that I would be happy to spend my own money on. Let's get started! 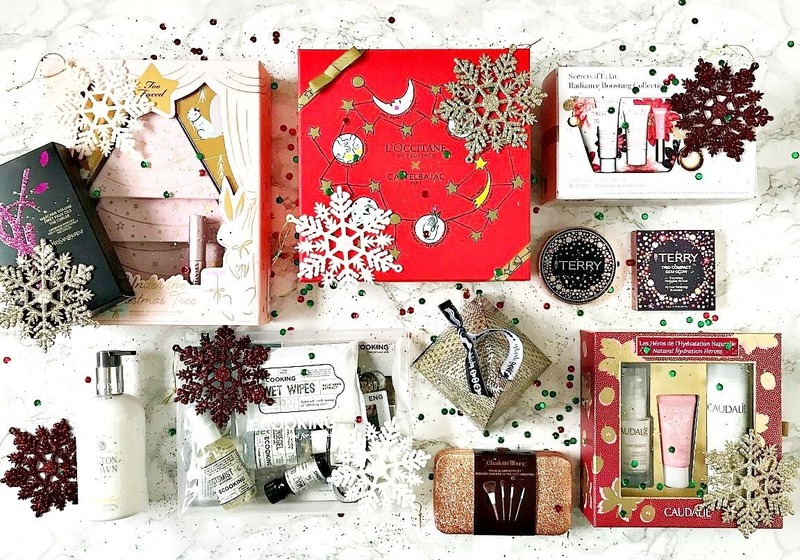 Welcome to the third of my Christmas Gift Guides. 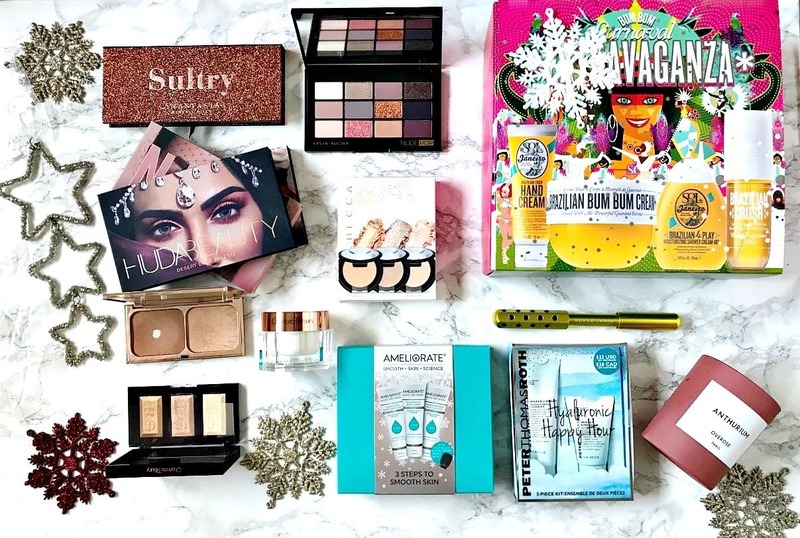 As I mentioned in my previous two posts, I know that some people are quite cynical about gift guides as they think they consist of only PR products but all of my posts have a mixture of products that were kindly sent to me and products that I have bought myself (as gifts or for myself!). 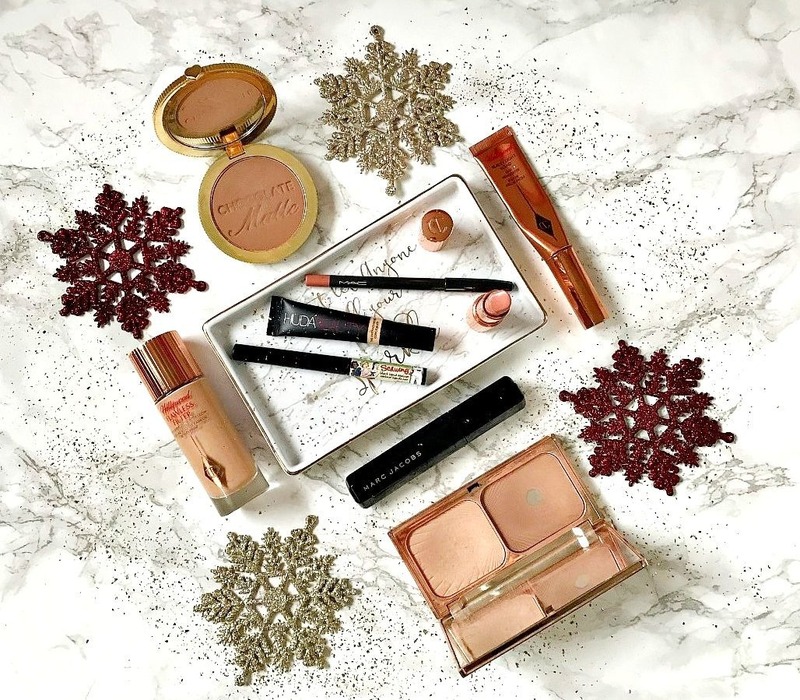 I usually mention at the bottom of each post if a product was gifted to me but for my gift guide posts, any product that was sent to me will be marked with a * As always, I only feature products that I would be happy to spend my own money on. 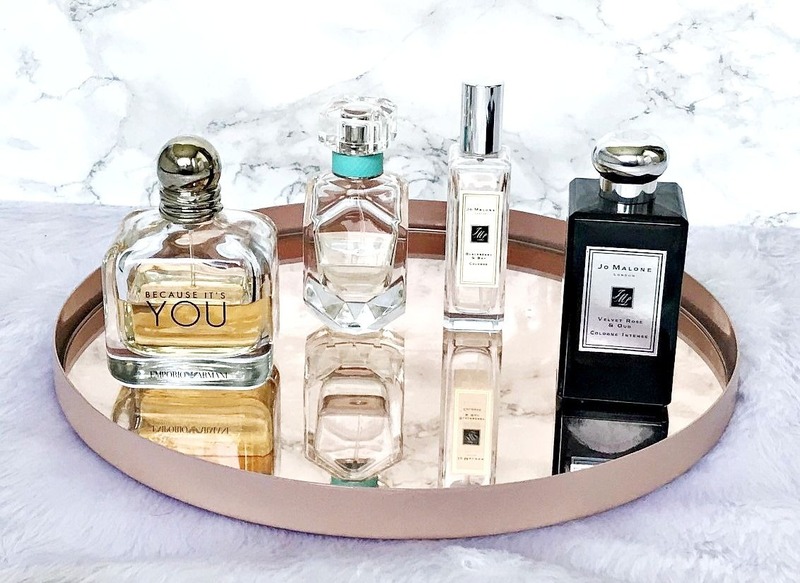 Today, I'm talking about gifts that are in the £50/€50+ budget range but don't worry, there is nothing too ridiculously expensive - no diamond encrusted shoes or handbags here! Instead of my usual 3 treats for 3 budgets post, this month I am doing 3 gift guides for 3 budgets, given that Christmas is only weeks away! 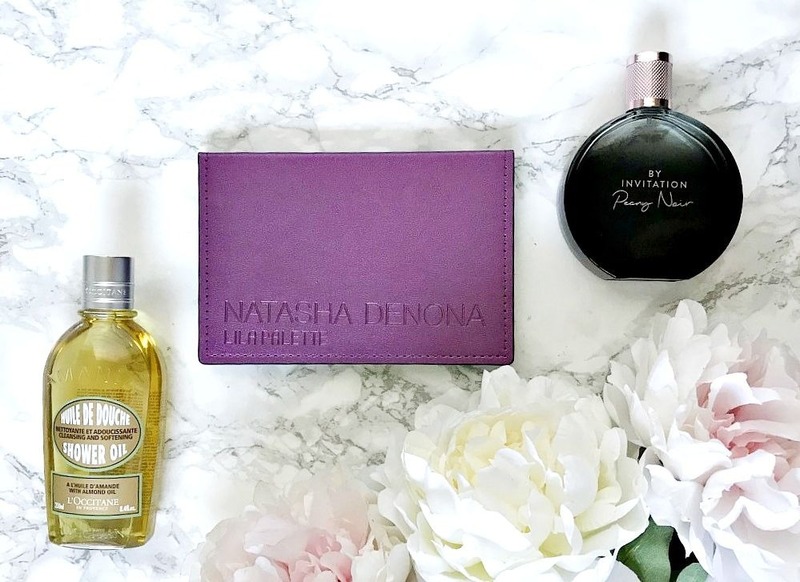 I know that some people are quite cynical about gift guides as they think they consist of only PR products but all of my posts have a mixture of products that were kindly sent to me and products that I have bought myself (as gifts or for myself!). I usually mention at the bottom of each post if a product was gifted to me but for my gift guide posts, any product that was sent to me will be marked with a *. As always, I only feature products that I would be happy to spend my own money on. 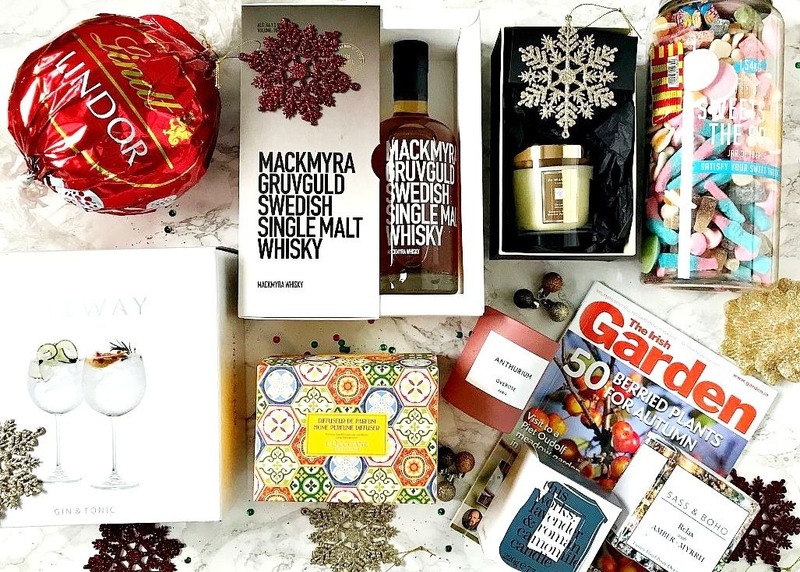 Today I have gifts for under £25/€25 and this was actually the easiest category - there are so many amazing gifts and products that fall into this budget category that prove you don't need to spend a fortune to get a gorgeous gift. Luxury lipsticks are like Pringles - once you pop, you just can't stop! It's only in the last 3 years or so that I've really gotten into lipsticks, prior to that I was primarily a lip gloss lover with the odd MAC lipstick thrown in. I think I used to associate lipsticks with dry lips and the packaging didn't excite me but things have changed a lot since then! 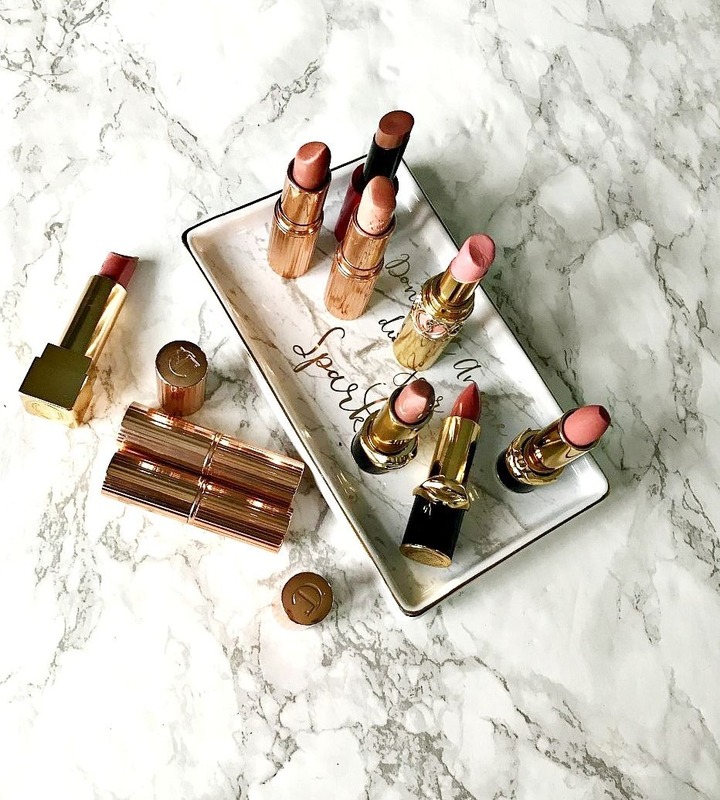 I'm now a full time lipstick lover, particularly luxury lipsticks. 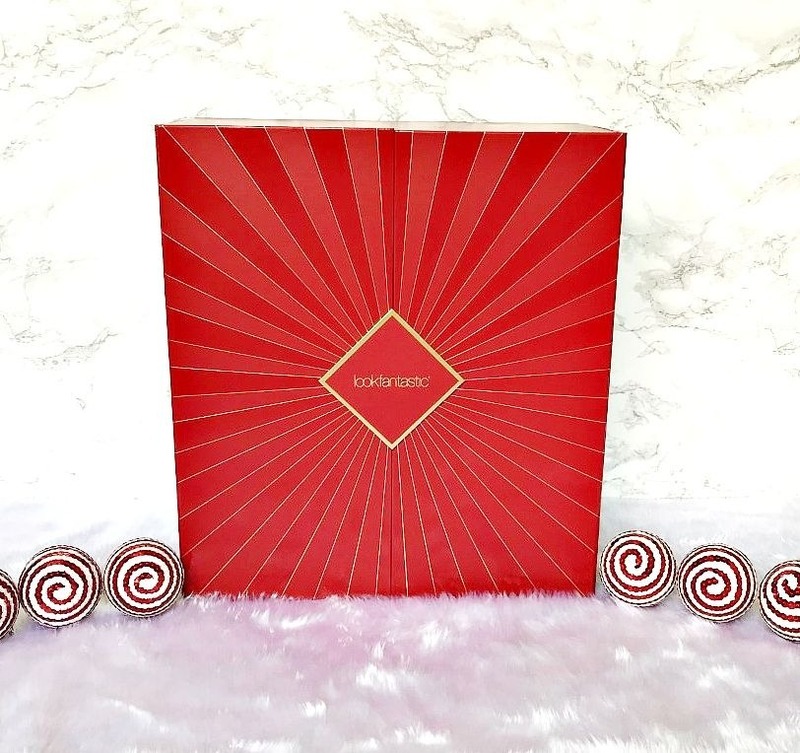 I love aesthetically pleasing packaging and the lipsticks that I'm going to share with you today couldn't be any more gorgeous but more than that, the product inside the packaging is equally as beautiful! I think that glitter eyeshadow scares a lot of people over the age of 30 because unless you have crease-free firm lids, glitter can be quite unflattering. Also, back in the day, glitters were very irritating on the eyes as there was a lot of fallout but things have come a long way and glitters are no longer chunky and uncomfortable. 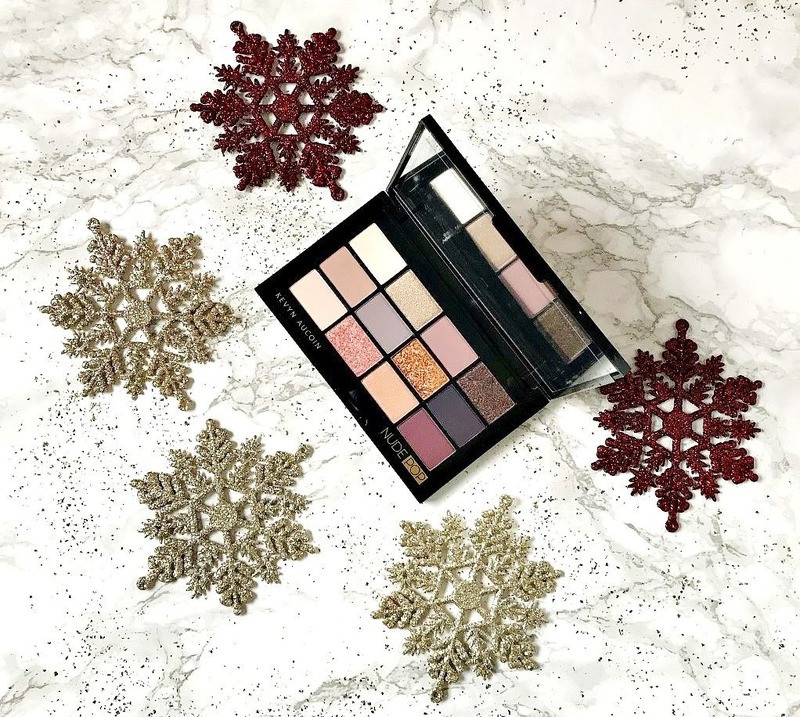 Glitter is not something I would wear on a daily basis but when the occasion calls for it, I have some eyeshadows that I know I can depend on to flatter. Because the festive season is approaching, I thought it would be a good time to share them with you. Welcome to a new series on the blog - the hype is real! 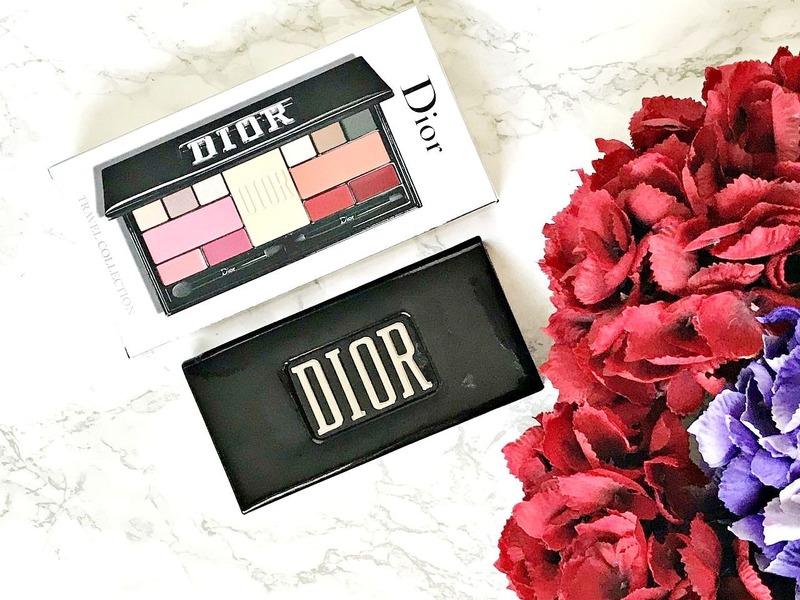 As you know, there are products that are very hyped in the beauty community - some with good reason and some because they have a big PR budget! 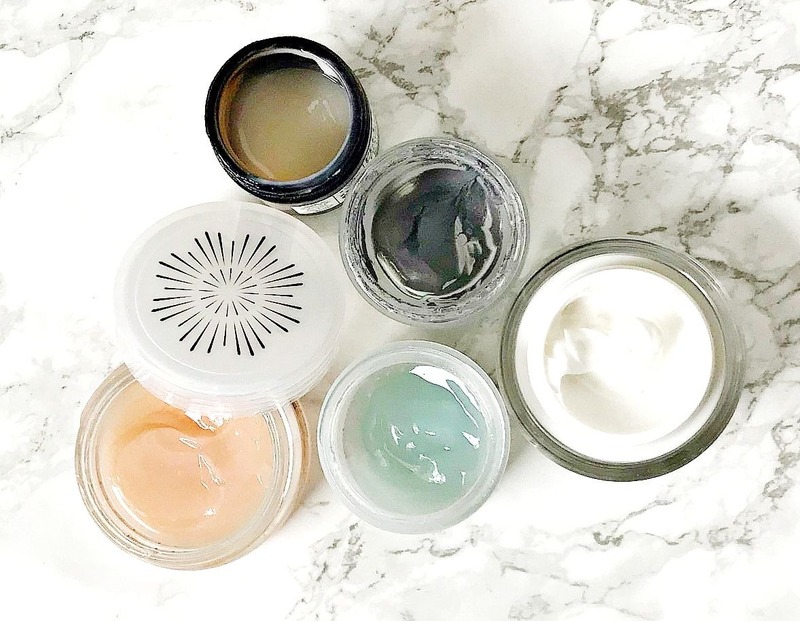 I want to share the products that I believe live up to the hype surrounding them but would love to hear your thoughts too because obviously things don't work out the same way for everybody due to having different skin types, age, requirements etc. Today I am starting with Drunk Elephant T.L.C. Sukari Babyfacial. 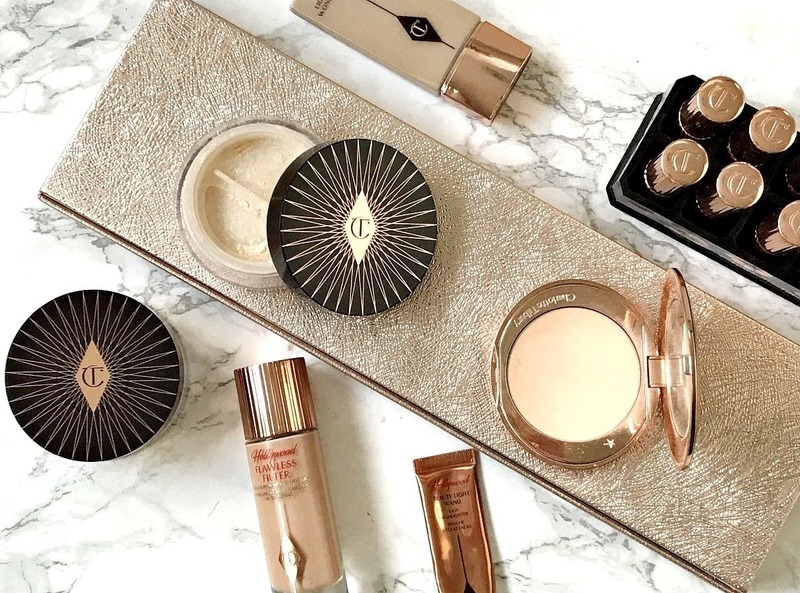 Pat McGrath Labs is a brand that I eventually got to try last Christmas after lusting over her products for a while and they did not disappoint. 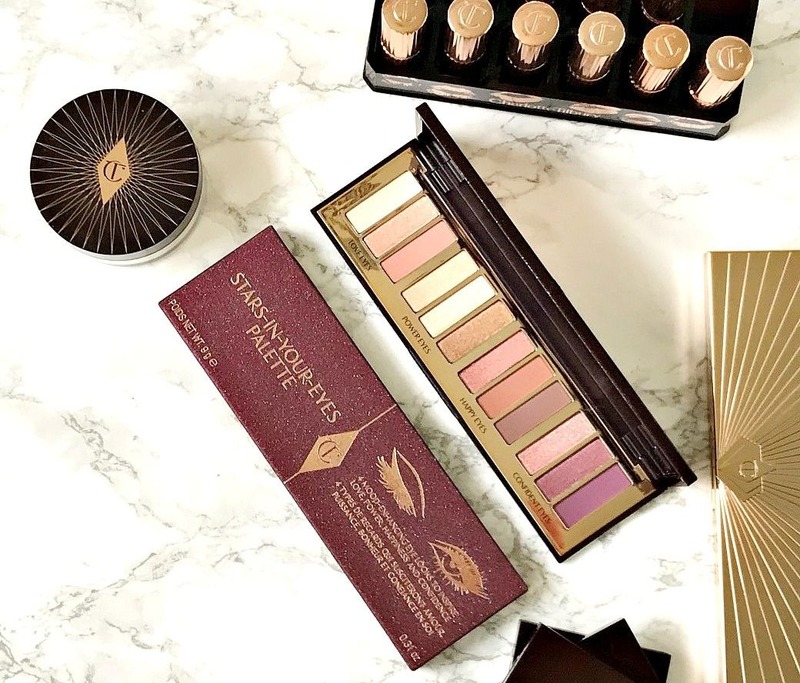 Her eyeshadow formula is second to none and her lipsticks are pigmented, comfortable and long-lasting. I adore the packaging of her lipsticks - the little lip feature at the closing is unique. I now have three of her lipsticks (review of one here) and although they are expensive, they are worth it and they feel like a real treat. When I saw her mini lipstick trio, I thought it would make the perfect giveaway prize for one of my readers. 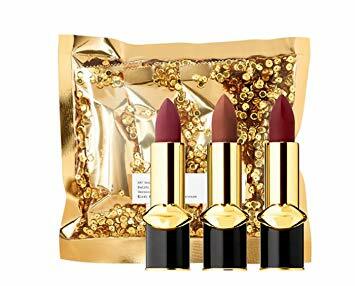 The photo above is taken from Amazon because the lipsticks are housed in gold packaging with gold sequins, which I obviously didn't want to open as it's a prize! 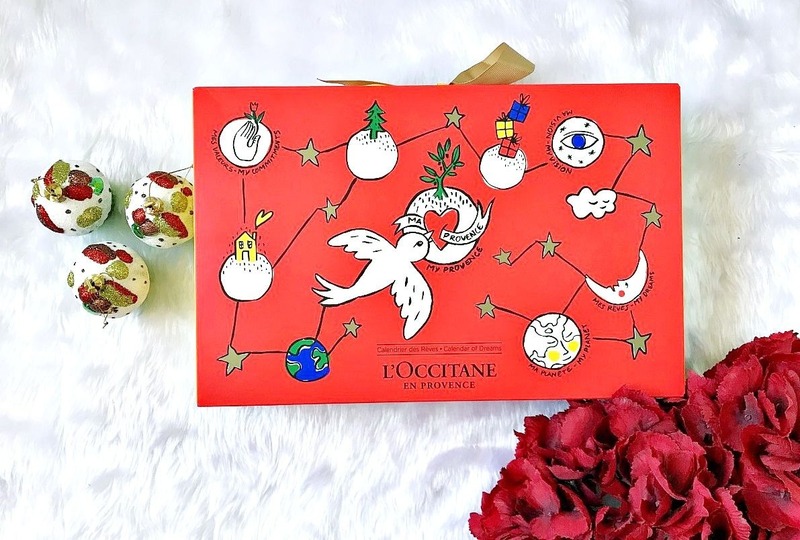 L'Occitane 6 Piece Gift of Giving Christmas Special - a bargain available for a short time! 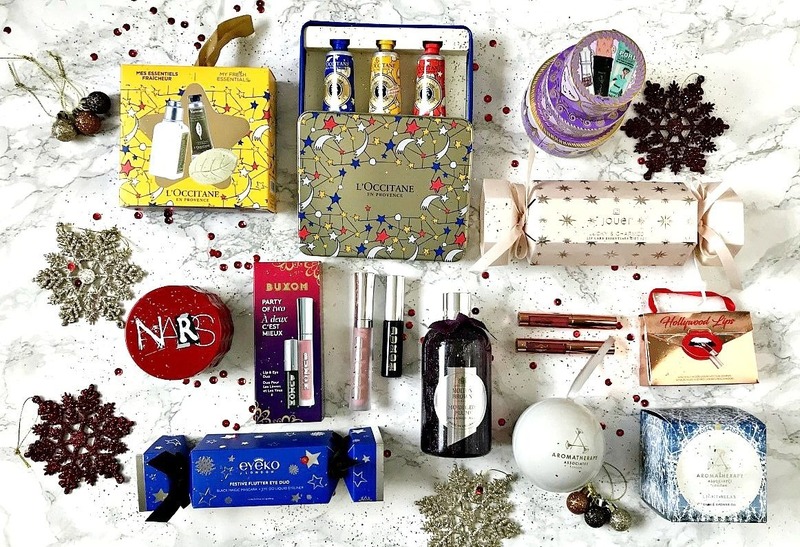 If you haven't started your Christmas shopping yet, this post might just give you the urge! 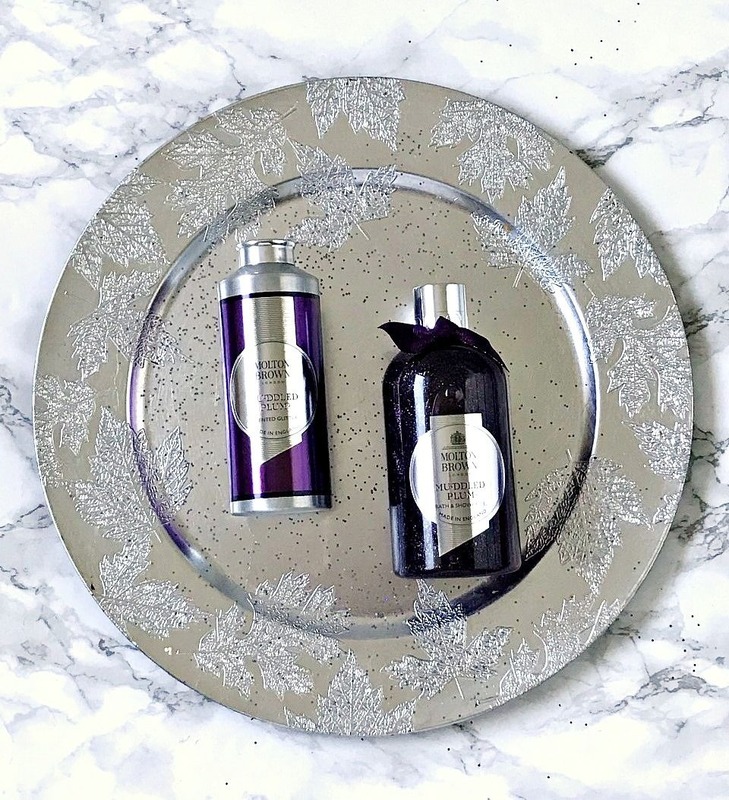 L'Occitane is one of those brands that I think everyone would enjoy because it's all about quality products that can be used to pamper even if you are short on time and are a real treat if you have a lot of time. 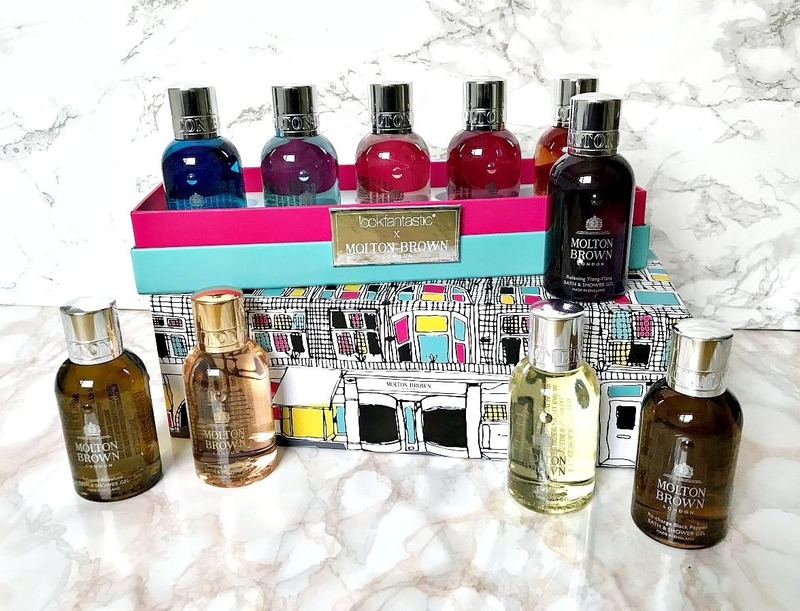 Right now, on QVC, you can buy a L'Occitane 6 Piece Gift of Giving Bath & Body Collection, worth over £100 for £46.96 - a saving of over £50, plus what's even better is that you can spread the cost over 4 payments of £11.74. 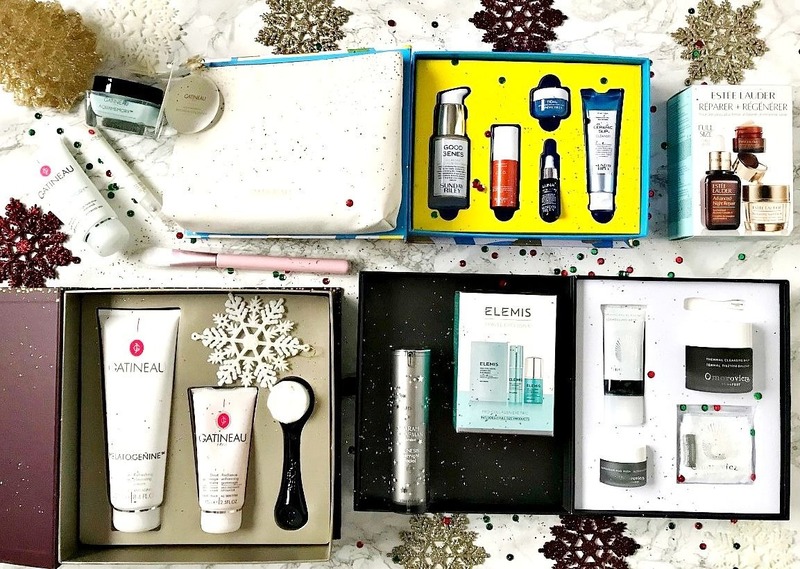 Plus what I think makes it even better again is that some of the products are individually boxed so if you wanted to break it down into a number of gifts, you can. 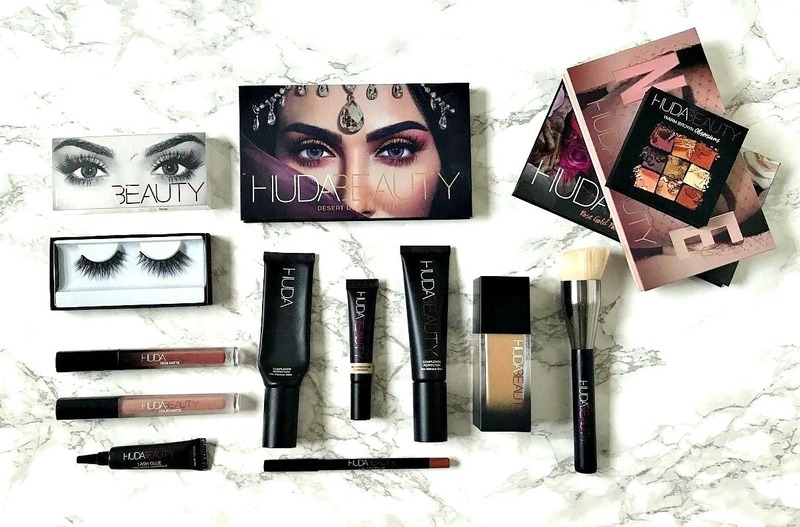 The Huda Beauty products worth the hype & those that deserve more hype! 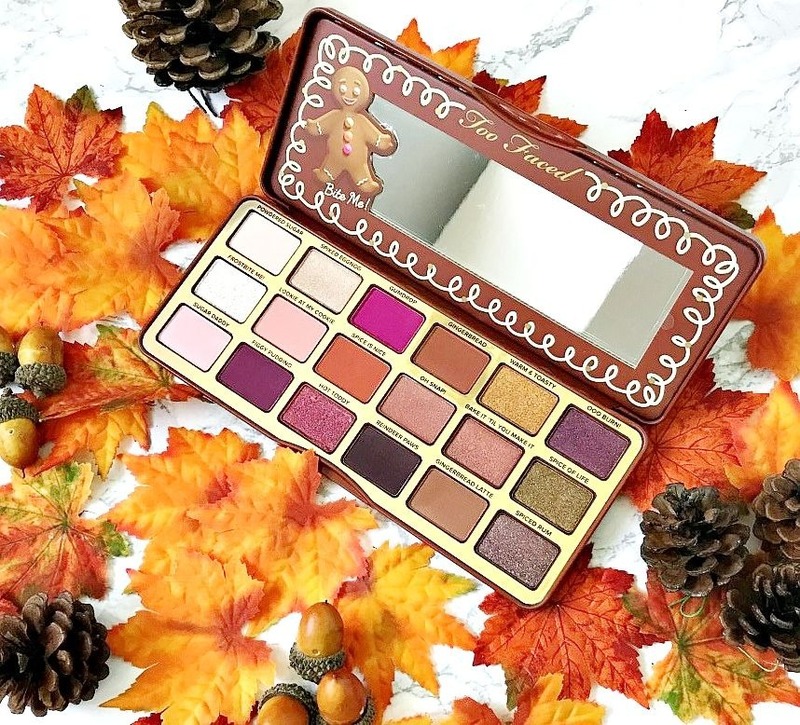 Huda Beauty is Cult Beauty's November Brand Of The Month, which means that there is free international shipping on all orders - the perfect time to place an order if you are lusting after a Huda product. 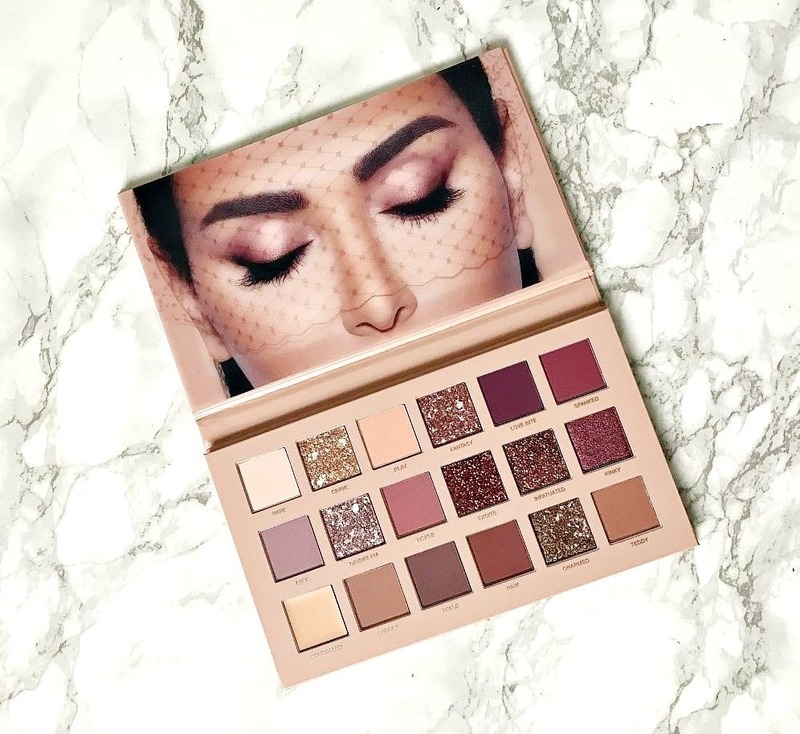 Huda Kattan is the lady behind the brand who has turned her passion for beauty into an international makeup empire through dedication and hard work. I love reading stories about when she started out with her first product, which was her lashes - she and her sisters packed them for shipping themselves and her sister invested some savings to help Huda get the brand going - I personally love hearing success stories like this. I know that it is a very hyped brand but I feel that some of her products can be overlooked. 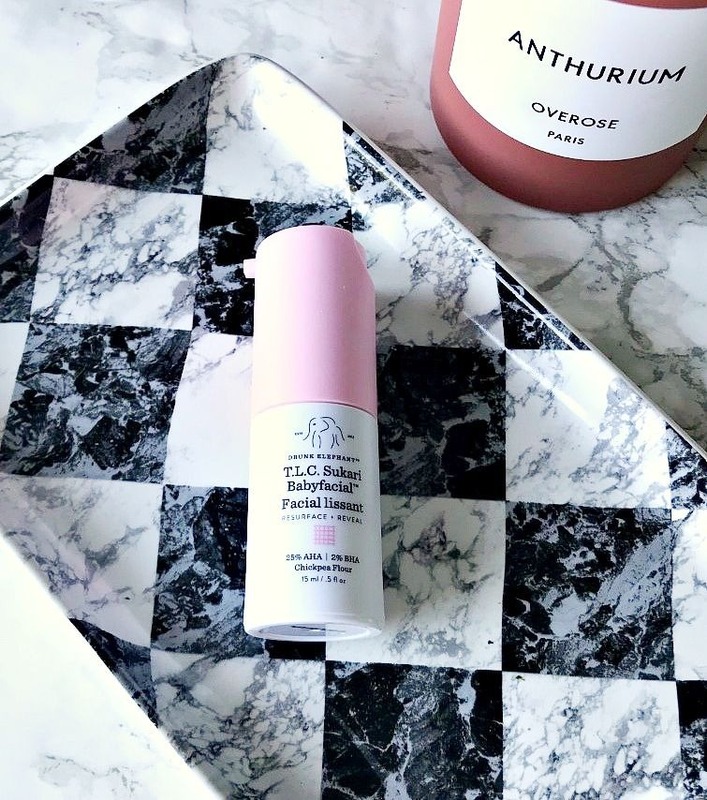 I have tried most products from the brand so today I want to share with you what I think is worth the hype and the products that deserve more hype! 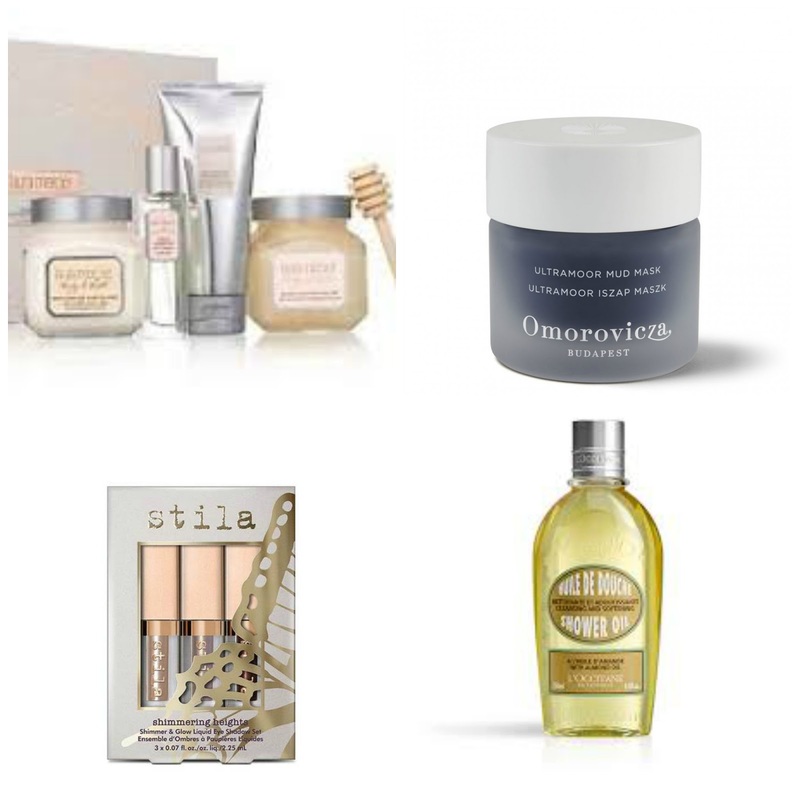 Seasonal skincare additions for dry skin featuring Antipodes, Ra Oils and more! Now that the temperatures have really dropped, the central heating has gone on and the fire has been lit, I have had to make some changes to my skincare routine. I have posted about some of the products I am currently using here, here and here but there also some additions I have had to make. 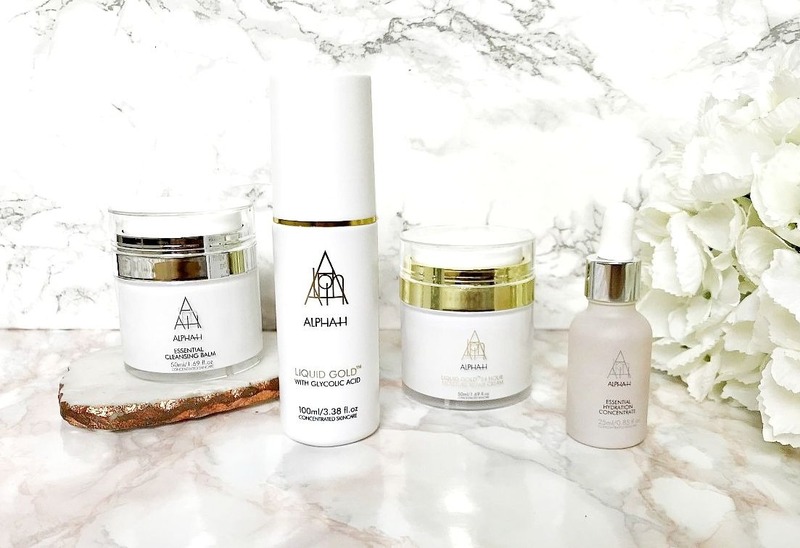 Because my skin is like the Sahara, I like to use rich, nourishing products that will protect and hydrate my skin. Of course there are the staples that I use all year round, such as Pixi Glow Tonic, Estée Lauder Advanced Night Repair, Omorovicza Omoressence and Sunday Riley Luna Oil but these are the products that I have added into the mix in recent weeks. Despite having a ridiculously large makeup collection, I have been sticking to the same products repeatedly recently. I've had a real dip in my health in the last while so I haven't really had the energy or enthusiasm to play with makeup and I'm just sticking to the products that I know I love and I can create a quick and easy glowing look that hides how crap I'm really feeling! It might seem like a lot of products but it honestly takes me under 10 minutes to apply everything. I remember years ago hearing that a blast of ice cold water just before getting out of the shower stimulated blood flow and would give a perkier bust and tighter limbs - I tried it once and swore never again but it is a good way to wake your body up, especially on a cold morning! I also read that a splash of cold water after cleansing closes pores, but as Caroline Hirons says - pores are not doors! That being said, they do appear tighter after a quick splash of cold water so when I first read about cryotherapy, it wasn't an entirely alien concept. When I read that it can help to reduce inflammation, it made sense because ice packs are used to reduce swelling, therefore when I was offered the chance to try CRYOpress, which is a gadget that allows you to perform cryotherapy at home, I jumped at the opportunity. Because of my illness, my inflammation levels are high and I often have redness in my skin that isn't necessarily a reaction to a product. 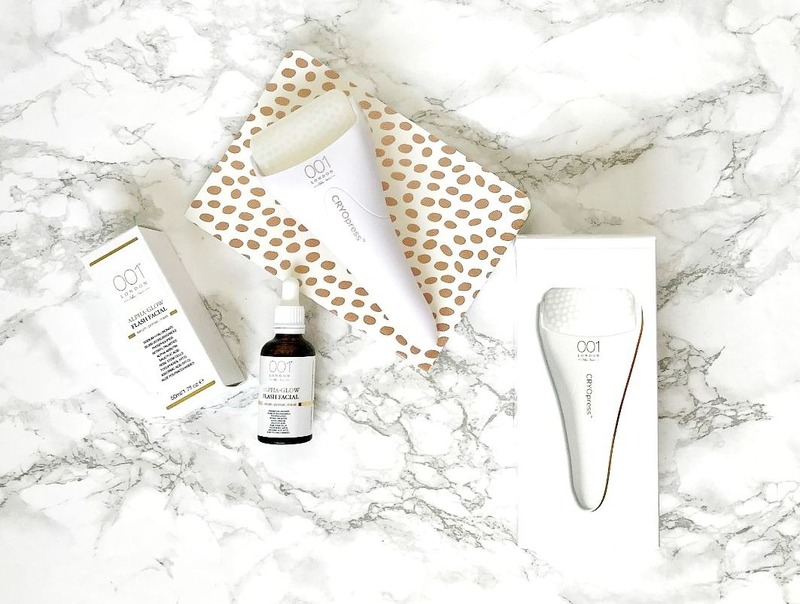 If something aims to help reduce the redness and inflammation then I absolutely want to try it! I also have a discount code if you would like to buy a CRYOpress to try for yourself - enter LYME10 to get 10% off the regular price with free worldwide postage. 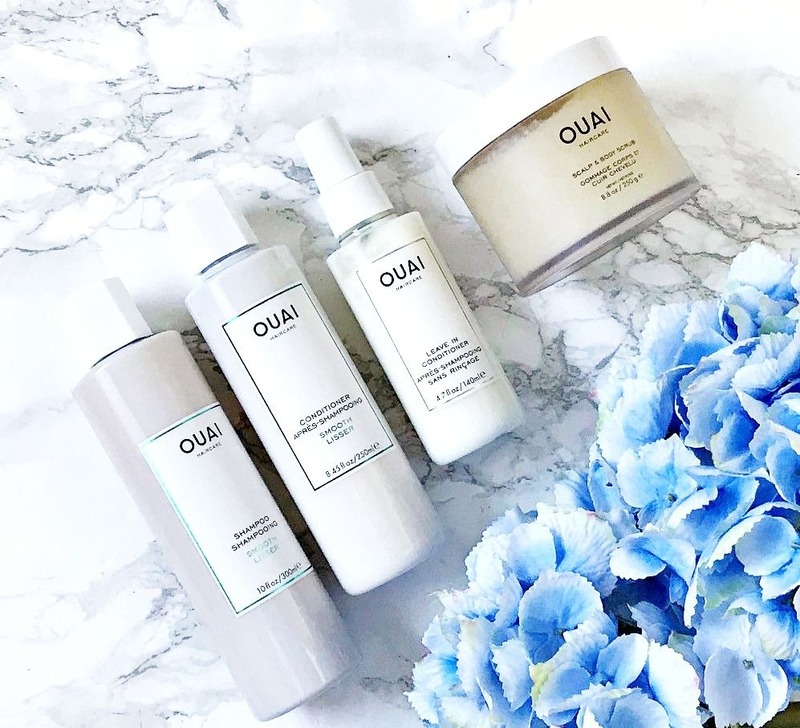 If you've been reading my blog for any amount of time, you will know that I am a big fan of Ouai haircare (see Brand Focus post here). 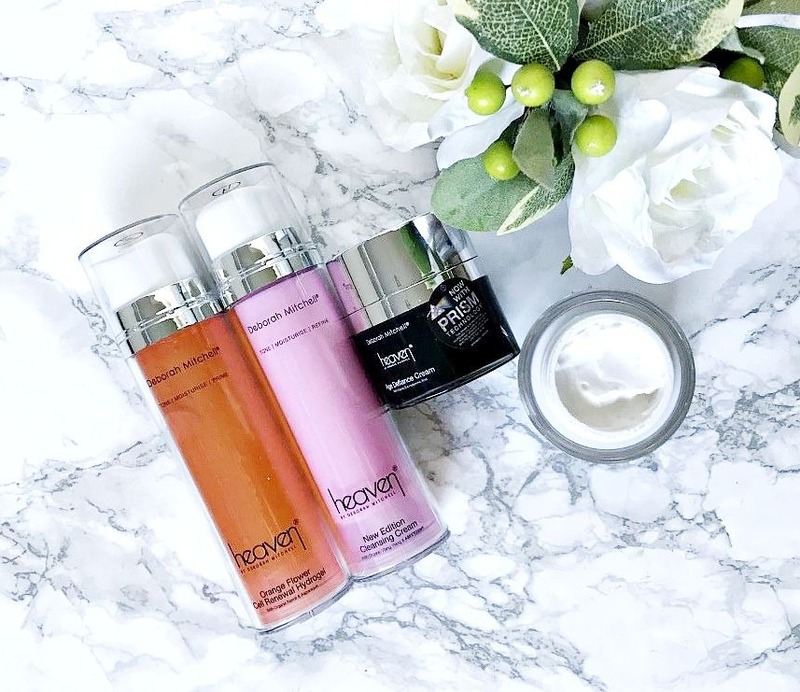 I've tried a good number of products from the brand but have recently been obsessed with their Scalp & Body Scrub - that combined with their Smooth Shampoo and Conditioner means that both my hair and my body are silky soft and smooth! I know that it's unusual for a hair brand to expand into body products but the scrub and their Rose Hair & Body Oil are multi-use products, which I love!